Sam Raimi has a few franchise films worth noting. A really popular horror franchise and a really good comic book superhero franchise come to mind. (Evil Dead…Spider-Man) But there was a time he did a mash-up before mash-ups became a thing…with 1990’s Darkman series. Starring Liam Neeson as the Darkman in the title, along with Frances McDormand, Ted Raimi, Colin Friels and Larry Drake, it’s a wonderfully creative tale and works as a superhero movie, comic book movie and a horror at times. Liam, Frances and Larry all give great performances. I wish they would come back to this series as it’s a fun one, maybe as a future TV show like they did with the Evil Dead series. 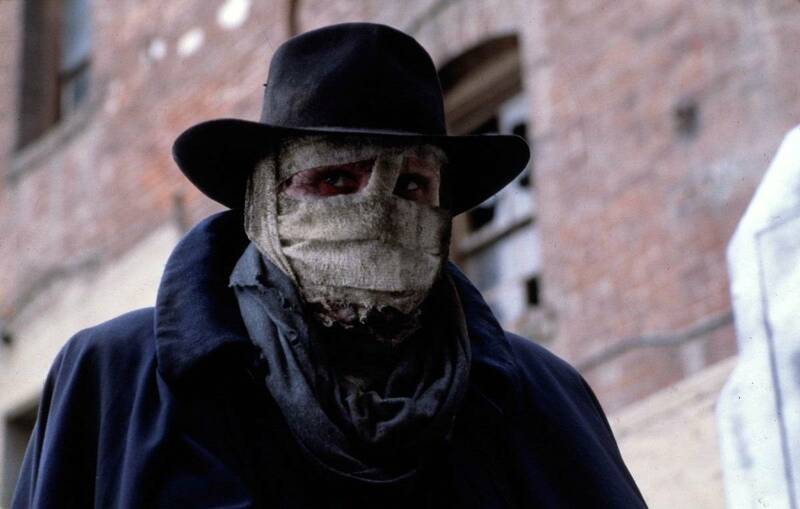 Sam Raimi originally wanted to do a movie of the famous “The Shadow” series, could not obtain the rights, so came up with his own movie similar to that one and called his character, Darkman. He also Drew inspiration from The Hunchback of Notre Dame, The Phantom of the Opera, Batman, The Invisible Man and The Elephant Man. When they went into production he wanted to cast his production partner up until that time, Bruce Campbell, but the studio he was working with didn’t think he was good enough to sell the movie. For the role of Darkman, Sam Raimi wanted someone who could play a monster with the soul of a man. An actor who could do all that beneath a lot of makeup. Bill Paxton was almost cast as Peyton Westlake (Darkman). According to Paxton, he told his friend Liam Neeson about the audition. When Neeson got the the role, Paxton was so angry that he did not speak to Neeson for months. 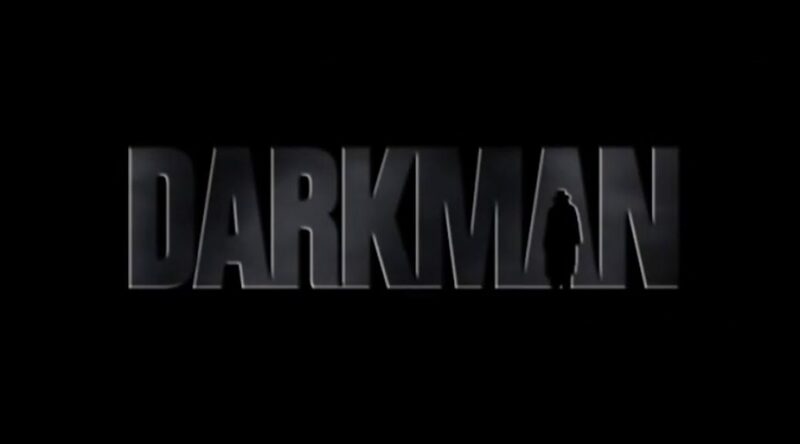 Some of Darkman’s elements were inspired by Batman. Liam Neeson worked 18 hour days in ten-piece makeup, but he liked the challenge, and the idea of working behind a mask on camera, as well as exploring the possibilities this entailed. 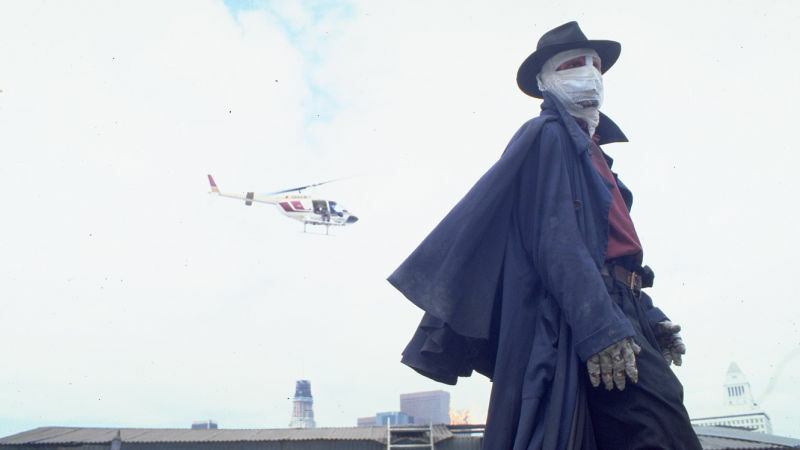 Neeson also had input on the costume he wore as Darkman, especially the cloak. The hardest part was speaking with false teeth, because he didn’t want them to move at all. Sam Raimi is a fan of the Batman character, and was among those passed over to direct Batman (1989). Larry Drake and Liam Neeson would later work on Batman Beyond: The Winning Edge (1999) and Batman Begins (2005) respectively. 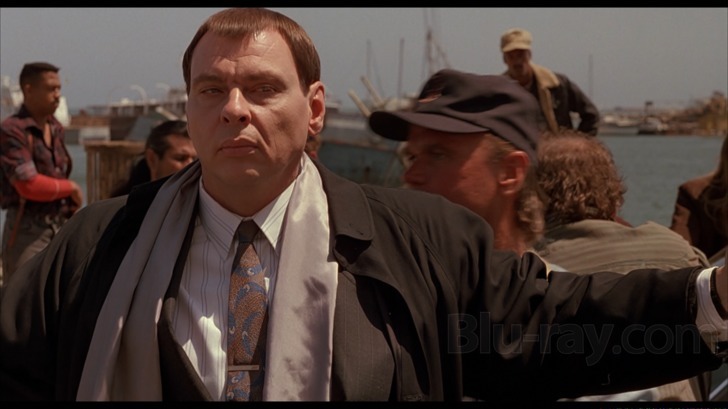 Larry Drake was cast because of the way he underplayed Durant. Quiet, careful, but intense. Sam Raimi had never watched a single episode of L.A. Law (1986), where Drake played the developmentally disabled Benny (I believe he won an Emmy award for this role and if you’ve seen him in this, he’s awesome!). But Drake’s face reminded him of a modern day Edward G. Robinson. He looked so mean and domineering, yet he had an urban wit about him. Raimi believed these qualities made him the perfect adversary for Darkman.